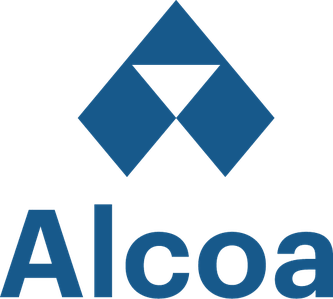 This is an exciting opportunity to be part of a dynamic team driving Alcoa’s global strategic objective to grow the business. As the Capital Procurement Manager for growth projects in our Alumina business unit, you will lead a team of project procurement specialists and contract managers to develop and execute procurement and contracting strategies to successfully deliver our growth projects on time and under budget. You will play a key role in ensuring the business unit’s Australian capital strategies are aligned to our global business unit, corporate and procurement strategies. You will ensure these strategies are commercially competitive and promote effective use of innovation, technology and best value sourcing. For the right candidate, flexible work arrangements would be considered for this role. Please inform us when applying if this is something you are seeking. Leading a portfolio of capital projects at different stages of progress to meet business requirements and maximise value. Effectively dealing with challenging project schedule requirements and leading a team of professionals. Leveraging internal technical and commercial expertise. Focusing on an outward market orientation to develop strategies. Do you have extraordinary communication skills? Do you have experience in successfully influencing internal and external partners at all levels, across all functions and with varied and global perspective?. Are you creative and effective in delivering results? Does your experience demonstrate this? We are looking for an energetic, astute leader who can excel in a demanding work environment. Aloca requires you to have a bachelor degree for this role and an MBA would be highly regarded. The role will require equal time at both of these locations with regular visits to the refineries. - Leading a portfolio of capital projects at different stages of progress to meet business requirements and maximise value. - Effectively dealing with challenging project schedule requirements and leading a team of professionals. - Leveraging internal technical and commercial expertise. - Focusing on an outward market orientation to develop strategies.